Higher power view of the previous image. 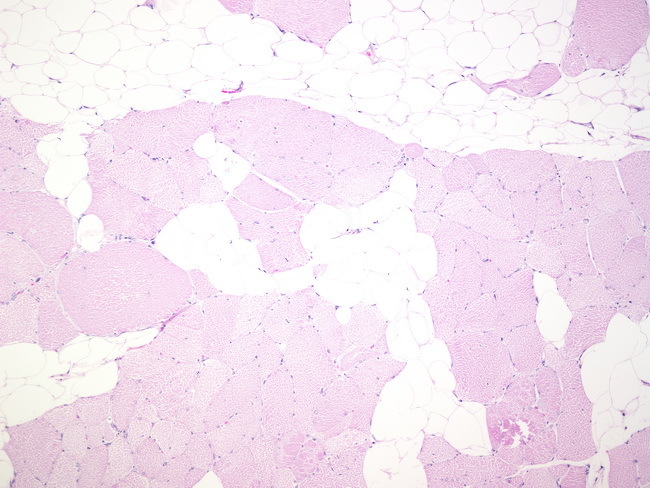 The involved muscle fibers may show some atrophy; however, there are no lipoblasts or cells with atypical nuclei. Atypical lipomatous tumor must be excluded by thorough sampling.